The EnZo Necker 70 is a stellar little workhorse. It's classic lines and nice finish give it great looks, while Sandvik 12c27 steel gives it good edge retention and corrosion resistance qualities. 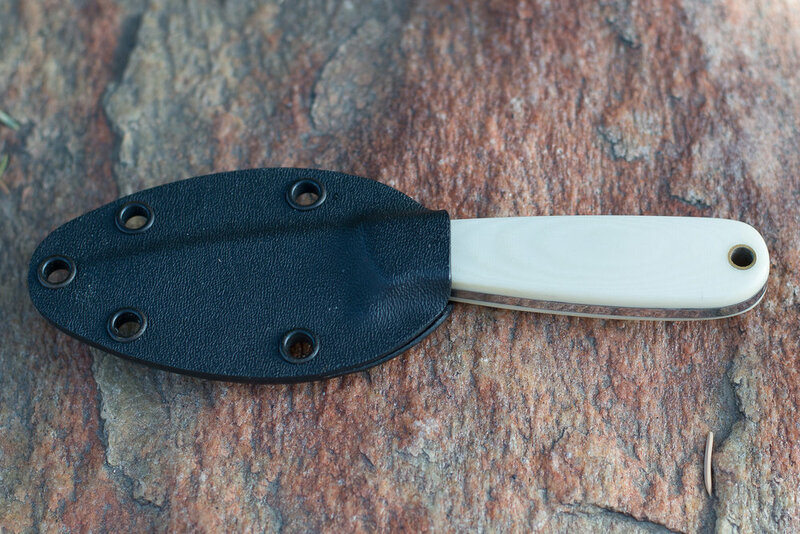 The handle is well shaped and mine wears ivory color micarta scales. This little blade is a welcome addition in the pocket, on a belt or around the neck that will hold up well to your daily tasks. 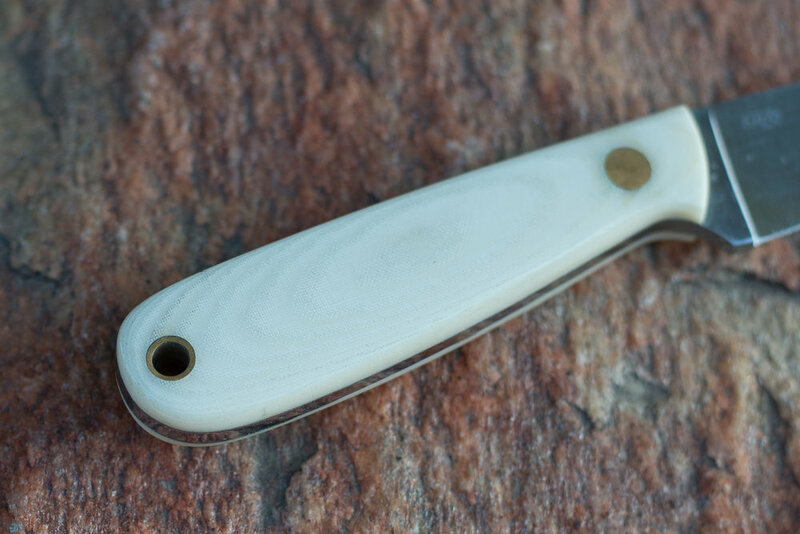 Available in both full flat or Scandi grind and several handle choices, the EnZo Necker has an option for everyone!